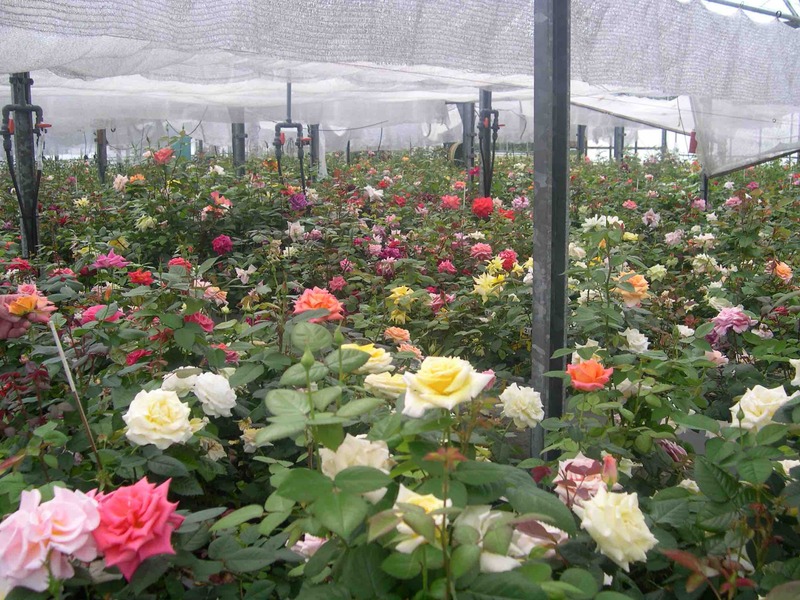 The hybridizing greenhouse of Fryer Roses. Where baby roses are born! In our video “Moving A Rose During The Growing Season” we show you how to move a rose keeping the football intact during the growing season – like spring and summer. But the best time to move a rose is during the dormant season. Why? It’s less stressful the rose because it’s asleep and not actively growing. This method of moving roses is essentially the same way roses are harvested from the growing fields and sent to you via the mail or to your local garden center. So while it may seem radical upon watching the video it isn’t. We’ve done it hundreds of times with great success. This also a great way to move roses to a new home if you sell your old one. You can do this anytime of year and we simply advise you replant the roses in pots to move them. Plus then you won’t have to worry about re-planting them right away in your new home. This method involves bare-rooting the rose. First cut the rose back to about 18: high. Cut a circle around the rose with a pointed shovel about eight inches away from the base of the plant. Do a good cleaning of old canes etc at this point. Diminish your expectations for the rose this year. It won’t bloom much and will take a while to start growing again. Best time to do this is during the dormant season in late winter.